MASERU – At a time when jobs are hard to get and government revenues are shrinking due to political instability, depletion of SACU revenues and an acute dearth of foreign investors, among many ills stunting economic growth, some enterprising Basotho are actively rising to the occasion by launching initiatives to create incomes for vulnerable groups. One such programme is Mohahlauli – The Tourist, a tourism promotion project that seeks to empower vulnerable women in rural communities that host tourist attractions. The aim of the programme is to contribute towards overall efforts to alleviate poverty, specifically in the rural areas and to contribute to the national objective of positioning Lesotho as a preferred tourist destination. The project is initiated by Morula Food and Drink Festival which was founded by Ms L Mabote in 2015. Capital outlay injected into the programme since the commencement has been significant which has benefited some local communities and businesses despite the challenges and not being able to mobilise enough support to sustain the programme. The founder Ms Lintle Mabote was employed as a tourist guide in the early 1990s by Basotho Pony Trekking which used to operate in the area at the time. “I was exposed to the challenges the communities experienced and on the positive impact of the trekking activities on them first hand. My job then was to guide tourists for daily and overnight treks in the identified areas whereby the communities would gain income in the form of boarding and lodging fees which were charged the tourists who opted for the overnight treks and slept in the villages. “It is an area which I understand very well and hold close to heart. An area which has great potential in terms of contributing towards the tourism industry. I was saddened by the closure of the trekking centre and to discover that the communities which benefited from this project have lost the income stream that they obtained from this project,” Mabote says. Currently, the tourism initiative is piloted in the Molimo Nthuse area, specifically Likhahlaneng and Jorotane villages which are situated further in the mountains away from any form of modern amenities. Once the project has stabilised it will be rolled out to other areas, Mabote adds. The initiative entails partnering with communities who are based in the rural areas with tourist sites, trails and attractions. “Communities are most welcome to invite us for a site visit and for us to determine how we can assist by implementing similar initiatives. To this end we plan to address hygiene matters which affect health and would be of concern for the tourists that we plan to attract into the areas. “By December 2020 we plan to have eradicated pit latrines and replace them with proper sanitary facilities in all of our tourist sites. In addition, we are introducing appropriate bathing facilities for the benefit of the beneficiary communities, as well as the tourists who will be frequenting these areas,” she adds. Mabote added, the women who are signed up for the programme are encouraged to be involved in gardening to ensure provision of fresh fruits and vegetables for the guests and the tourist guides. In the next two years the programme hopes to have signed up communities in other districts such as Thaba Tseka, Qacha’s Nek, Quthing and Butha Buthe, in addition of initiating new income streams for the communities. “We should at least have five similar projects which are up and running and improving the livelihoods of the communities,” notes Mabote. The various tourism packages offered are designed such that they provide participants with an authentic Basotho experience. They include hiking trails which can be done on horseback or on foot, accommodation in the villages along the various routes, and meals which are prepared on an open fire and available on request. Accommodation can either be in the form of a campsite or with selected families that are trained and registered to provide the boarding and lodging facilities. Fees are charged based on the services that are required by the tourists who buy the packages. The women recruited into the programme are equipped with Basic Bed and Breakfast Management and Basic Culinary Arts Skills to ensure that tourists are provided with appropriate customer care. They are also provided with Basic Business Management Skills to ensure sustainability of the initiatives. This is in line with the holding company’s principle to contribute towards empowerment of women to be socially and ­financially independent to mitigate the negative effects of culture and gender-based challenges which disadvantage them. 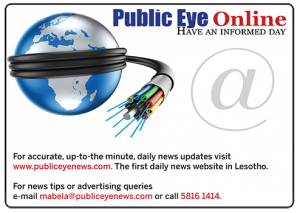 Over the past 10 years, urban centres, in particular the capital Maseru, has seen a huge increase in population mostly due to the rural-urban drift. The company believes, instead of rushing to crowd in the capital chasing elusive hopes of employment and in the process straining infrastructure and other services, rural Basotho, particularly vulnerable groups like women, can get an income where they are and sustain decent livelihoods. households, abuse of children due to lack of a parent being around to look after the child and many other challenges,” says Mabote, one of the founders and directors. moved to the neighbouring countries (especially South African mines) and urban areas to work. Mme Mamoipone, a resident of Sekhutlong Likhahlaneng welcomed the initiative and was very happy to learn that the tourism activities in the area will be resuscitated. 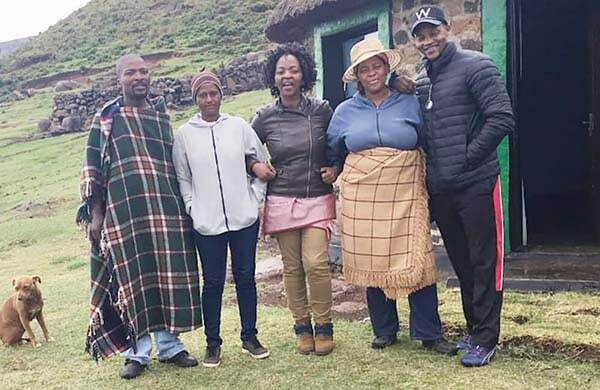 She has been residing in this village for more than 30 years and has benefited from the tourism activities which were offered during the Basotho Pony Trekking era. Mofumahali Masenate Sefali also welcomed the initiative and was very excited by the prospects of earning some income. “She hosted us during our first visit in the beginning of March 2019. The income that she will earn from the initiative will assist her to take care of her family and to take her kids through school,” Mabote says. Given the scope of their work which addresses issues directly impacting the community and economy, project directors are looking for partners and investors from the perspective of social investment as this is a social project not meant to generate income. Such prospective support, Mabote says, could be in kind and “any other support that might be provided for us to meet our objectives is welcome”. 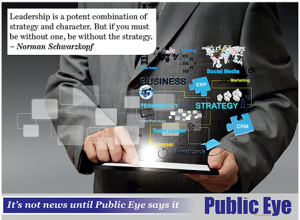 A copy of their strategy and implementation plan is available on request and in turn, their partners will receive mileage and will be mentioned in their newsletter, blog posts, social media pages and media articles. The trek includes a guided tour on horseback from the Of­ce to Leboela Water Falls. At the falls, there are braai facilities and guests can enjoy swimming. The duration of the trek to and from the venue is 1hour, 1hour is reserved for guests to spend time at the venue to relax and enjoy lunch. R250 per person, the price includes a branded t-shirt or a cap and a tourist guide. t-shirt, a cap and a tourist guide and a mule to pack any luggage. group of 5 or less people. A minimum of 2 people is required for this package. cap and a tourist guide and a mule to pack any luggage. R550 (serves 2 people) and R1200 for 6 people. Includes a trip to Likhahlaneng Village via Qiloane Falls. Guests travel to Qiloane falls and stay for lunch, thereafter head for the village of Likhahlaneng for a sleep over in the village for a Basotho Experience and head back to the of­ce the following day. per group of 5 or less people. t-shirt, a cap and a tourist guide and a mule to pack any excess luggage. R550 (serves 2 people) and R1200 for 6 people and are delivered daily. Day 1: Includes a trip to the Village of Jorotane (Jordan) in the heart of the Molimo Nthuse area. Guests rest enroute to the destination for lunch and leg stretch. Thereafter they head for Jorotane Village for a sleep over. Day 2: The guests leave Jorotane Village in the morning and head for Likhahlaneng Village for a sleep over. A stop over enroute to Likhahlaneng for lunch break. Day 3: Travel from Likhahlaneng Village and a stopover at Qiloane falls for brunch. t-shirt, a cap and a 2 x tourist guide and a mule to pack any excess luggage.